Brass range, efficiency, brilliance, and advanced techniques are my specialty. Work with players to overcome injuries. Instructor at the Humboldt Brass Chamber Workshop and Westchester Conservatory. If beginner, know that I play horn. Joshua Thompson is currently an affiliate artist at the University of Vermont, where he teaches the horn studio. 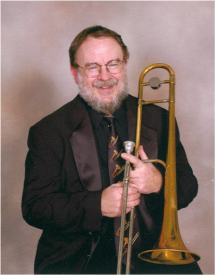 He also is the conductor of the wind ensemble at Castleton University and also teaches horn and conducting. Several current and former students have participated in New England, All State (New York and Vermont), the Empire State Youth Orchestra, and Vermont Youth Orchestra, and have earned scholarships to leading college music programs. Joshua completed graduate and post graduate study at the Hartt School, University of Hartford. There he studied with David Wakefield and Daniel Grabois, respectively.